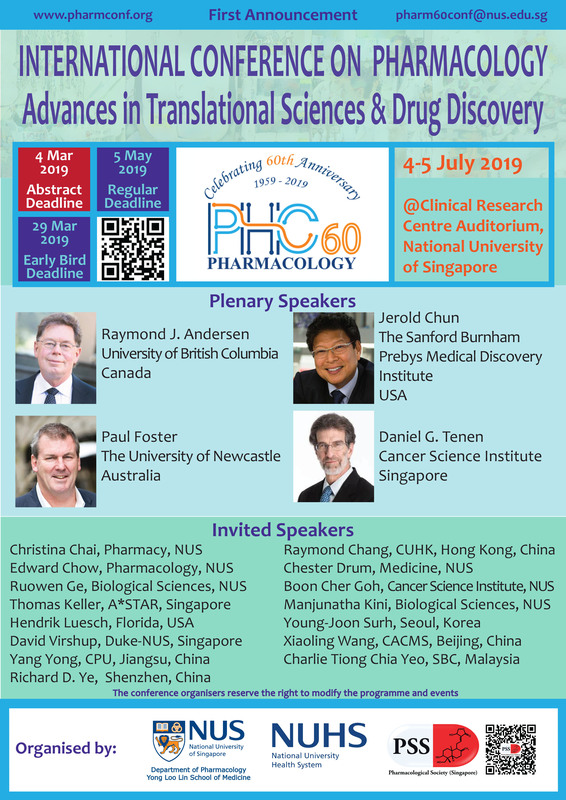 The International Conference on Pharmacology: Advances in Translational Sciences & Drug Discovery is organized by the Department Of Pharmacology, Yong Loo Lin School of Medicine, National University Health System, to celebrate of its 60th Anniversary, and by the Pharmacological Society (Singapore). Registration and Abstract Submission is open now!!! Active PSS members can register and attend the meeting for FREE. We look forward to seeing you and your active participation in this conference!